For the first time EVER, I broke one of my own rules. I actually used a design twice! I had envisioned the whole thing before making either card. 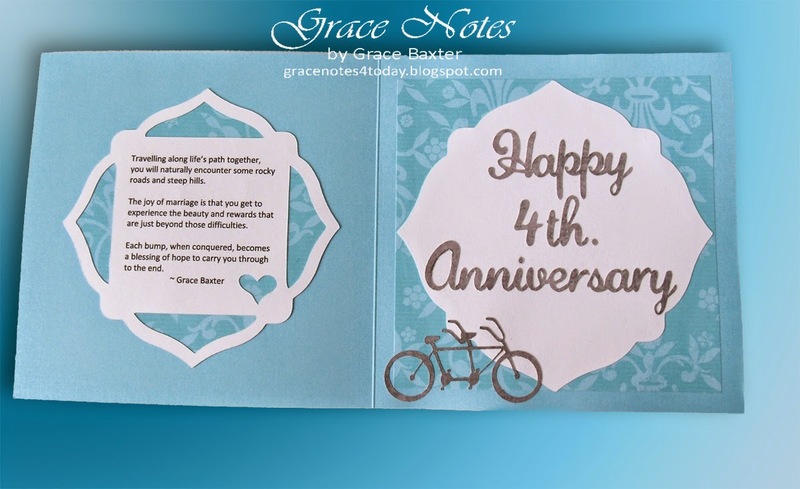 Since there are TWO young couples celebrating their anniversaries very close together, and both are equally suited to this design, I decided to make their cards "similar". My daughter and son-in-law just celebrated their 4th Anniversary. How time flies! 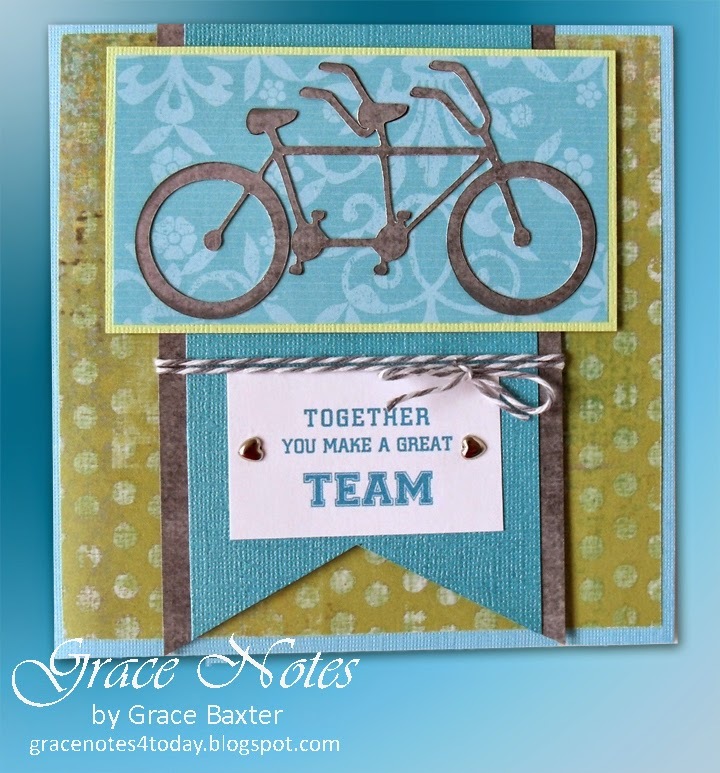 The tandem bike and TEAM banner is perfect imagery for them. The card is 5-1/2" square. Much of the technique is obvious so I won't belabor the details. If you have any questions, feel free to leave a comment. I wrote the inspirational quote as a reminder that we all encounter bumps in the road in marriage. And it is SO true that once we get past those difficulties, joy springs up once again. Don't give up. Let's ride out the bumps and go for the joy! Quarter Note - font for "Happy 4th. Anniversary"
You may also like another version of the card. This one is for a 5th Anniversary card. Lovely! And congratulations to your daughter and son-in-law! What a great card! I love the sentiment you wrote inside. Thanks for sharing!